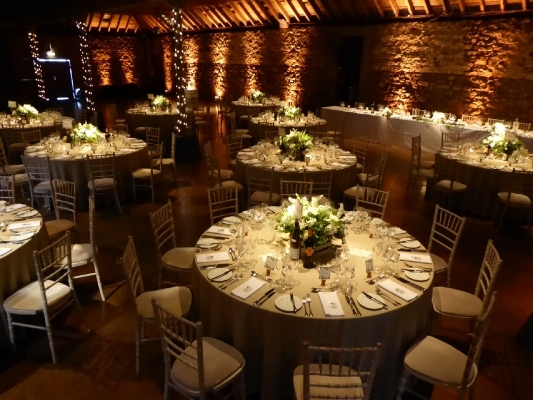 Set on the coast 2 miles from St Andrews, Scotland, Kinkell Byre has hosted a wide variety of events for 40 to 2000 guests. 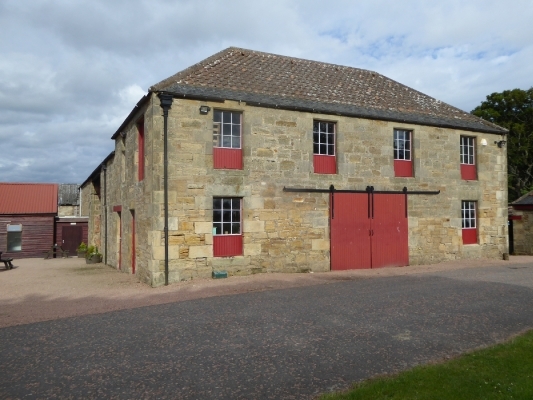 The original sections of the barns were built in the mid-1700s with stone from the ruins of Kinkell Castle. 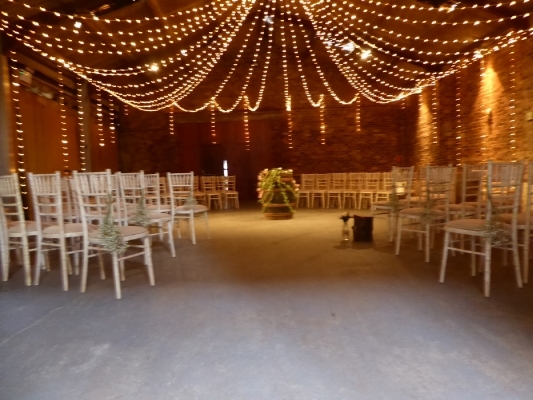 Kinkell Byre is not just a normal wedding venue; Kinkell Byre offers you exclusive hire of a converted barn which is full of character and rustic charm with plenty of room inside and out. 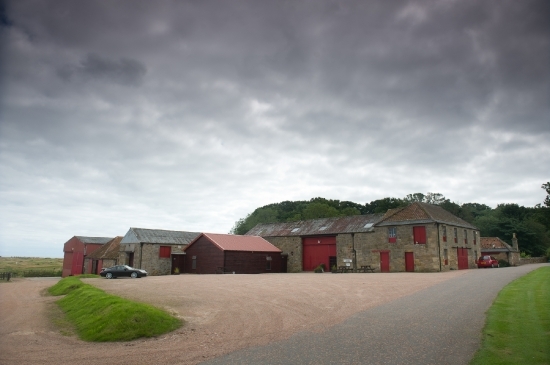 Kinkell Byre is situated at Kinkell Farm near St Andrews. 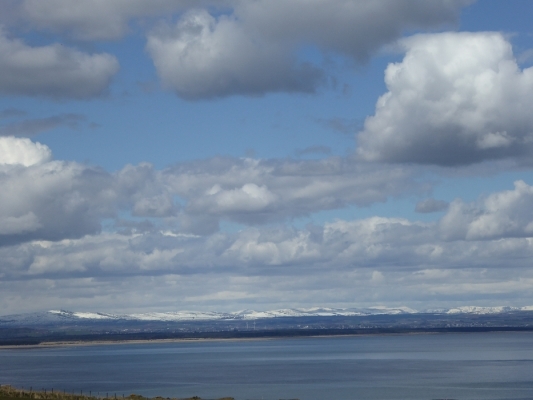 Not only do you have the stunning views of the Fife countryside, you also have breathtaking views of the North Sea and the east coast of Scotland. 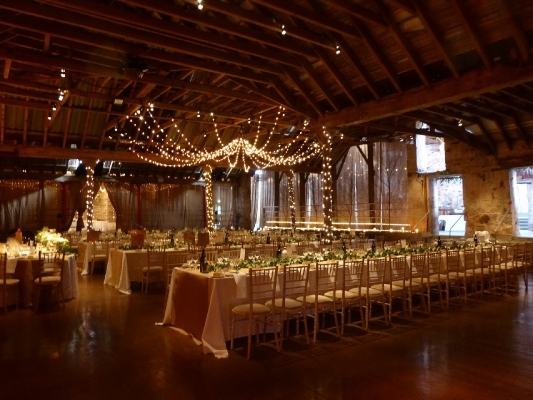 You shouldn't have to sacrifice your dream caterer to get your dream venue - so we don't tell you who to use. 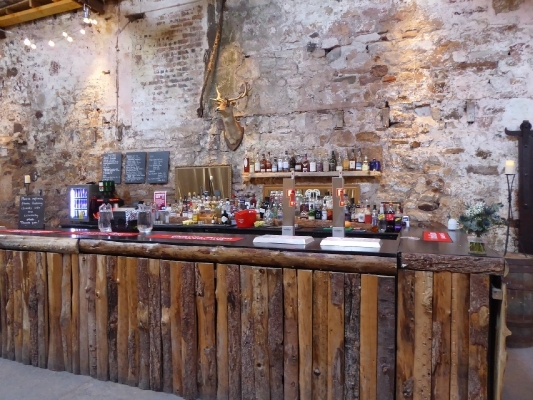 The only people that we ask you to use are our lighting and bar supplier, as they have bespoke equipment for our space. 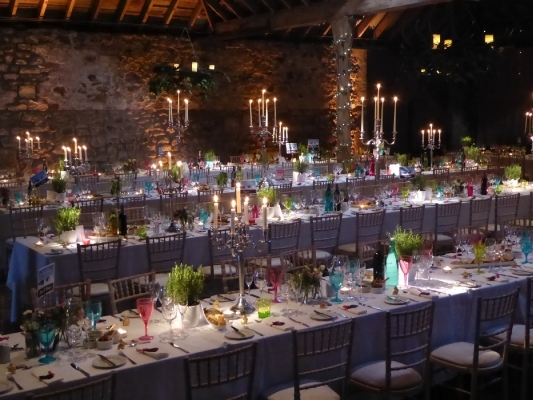 If you are looking for ideas, we have a list of suggested event suppliers who have worked with Kinkell Byre in the past. Looking for the perfect place to hold your corporate event? Or looking to hold some group activities like Highland Games or off-road driving? 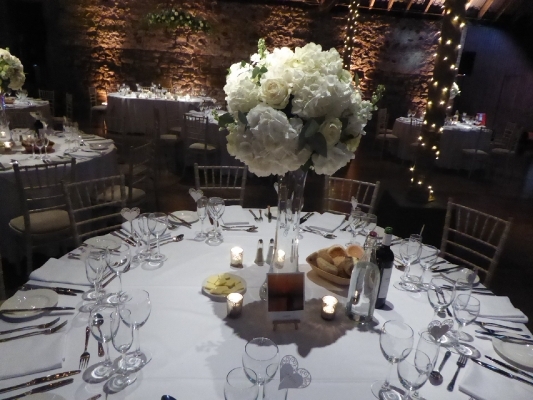 The Kinkell Byre is the perfect place for a big corporate event. 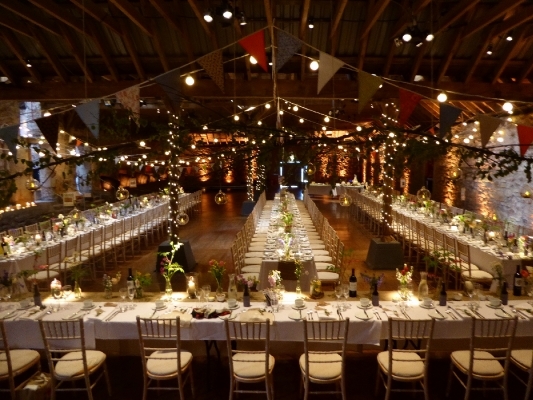 We have suppliers that can help with everything – add a stage for speeches, choose a hog roast or sit down meal and invite up to 500 people. Organising a student ball? Looking for somewhere to put on a show? Or simply wanting to throw a big event? 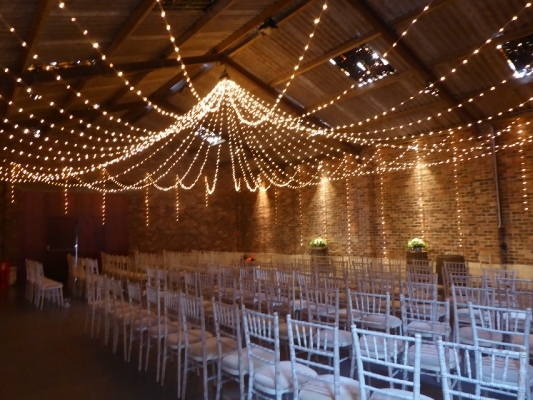 Look no further than the Kinkell Byre. 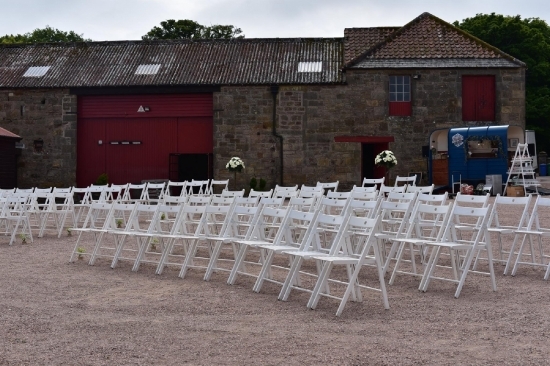 With room for up to 1200 people, plenty of places to put a stage, tables or whatever you need for your event, the Kinkell Byre is completely adaptable to help you create your perfect event.